There are a lot of reasons that you would want to consider hiring someone who is a specialist in investigative services. The thing to remember is that you will want to do some research to make sure that you are hiring the best company in North Carolina. Here we will talk about some of the things to consider so that you end up with the best services. You will first want to figure out what types of investigative services you need. Are you trying to find out more about the place you work to find out about what you can get for a job industry, or are you trying to figure out if your partner is cheating on you? These things are going to require different types of assistance. The first thing to look for on any site that is offering services of this nature is whether or not they offer the right services for your particular situation. 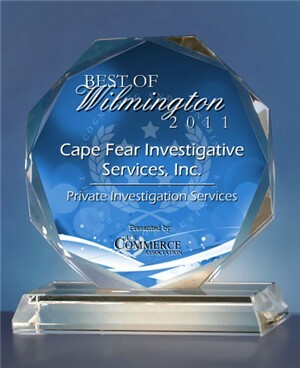 Cape Fear Investigative has a large staff capable of covering any investigative service you require. Another thing that you have to consider when it comes to finding the ideal investigative services in North Carolina is what you can afford. If you are on a severely limited budget, then be sure that you ask the people at the company if they can help you for that amount. There is a chance that they will, and a chance that they will not. Always remember that changes can usually be made. If you have a very intense need for these services, there is a chance that you can work with the investigator to make the price workable for you. This all depends on what you need and what you can spend. Another good thing to think about when it comes to finding the right Investigative Services is what type of time frame you are working with. Figuring this out can help find the right type of situation without having to wait for too long. Assessing the timeframe of your needs will help you communicate with the people you call and set expectations for the work you need done. The bottom line is that you can find the best detective services if you take the time necessary to plan out the essentials. Make sure you know the specific type of investigation that you want done, and that you know how much you can spend. Furthermore, the time frame is a rather critical piece in the event of a rushed project. Once you’ve figured out these essentials, call Cape Fear Investigative Services at (910) 762-4374. We provide all kinds of investigative services, and we can help you.